Canon’s imageFORMULA CR-135i High-Volume Check Scanners Transport delivers high performance, reliability, and image quality, in an efficient countertop design. The CR-135i is perfect for processing large numbers of checks and related small documents. 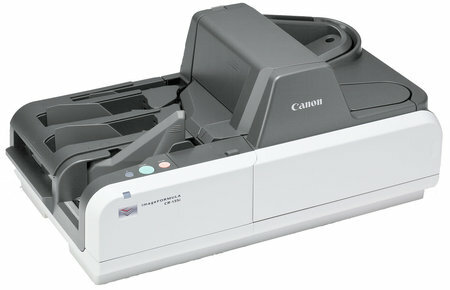 The Canon CR-135i check scanners transport can help banks, credit unions, and other financial institutions, utilities, and organizations that handle large numbers of checks and related small documents improve the efficiency of payment processes and treasury management. This results in faster access to funds, reduced costs, and increased ROI. The Canon CR-135i check transport is ideal for high-volume remittance processing, lockbox, back-office capture and branch automation.